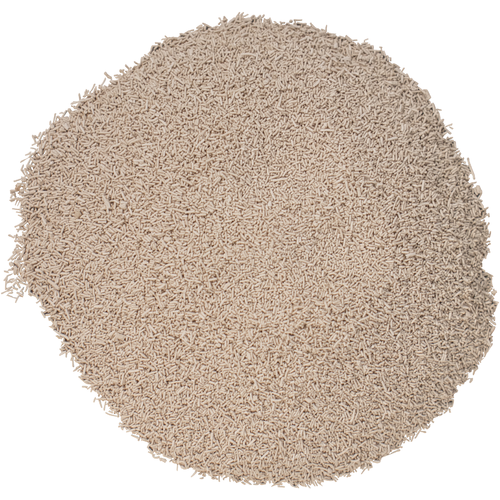 Italian isolate that is recommended primarily for Sangiovese and extended maceration wines. A slow starter and moderate fermenter, BM45 has high nutritional needs and therefore should be used in conjunction with Go-Ferm (AD342) and Fermaid K (AD345) in order to minimize H2S production. BM45 contributes higher acidity, low astringency, and due to its' high levels of polysaccharide production, resultant wines have great mouthfeel and improved color stability. In addition, it can also be used to minimize vegetal characteristics that may be present in the fruit. In red wines, BM45 brings out aromas described as fruit jams, rose petals and cherry liqueur, with notes of sweet spices, licorice and cedar. 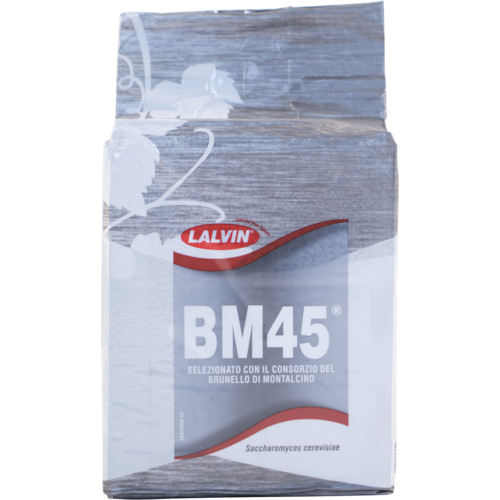 While this makes it perfect for creating traditional Italian wine styles, BM45 also excels in Cabernet Sauvignon. When making white wines, some producers use this yeast on Chardonnay as a blending component to increase mouthfeel, but care for proper nutrients must be taken. It should be noted that BM45 may produce a "gamey" quality immediately post alcoholic fermentation, that will age out in about 6 months. Best results from 64 to 82 degrees F, with an alcohol tolerance up to 16%. I read online where it worked well for sangiovese. Seems like a good choice for desired style of wine. Great finish to my wines. I like it better than BM 4x4. Used this on Frontenac red last year, the results so far are encouraging. This yeast is starting to become my go to, for all my grapes. Love the finished mouthfeel & color, I seem to get a average to medium duration from start to finish. Have never had a stuck fermentation with this yeast. Worked better than that EC1118 yeast that comes in the Brunello wine kit...!